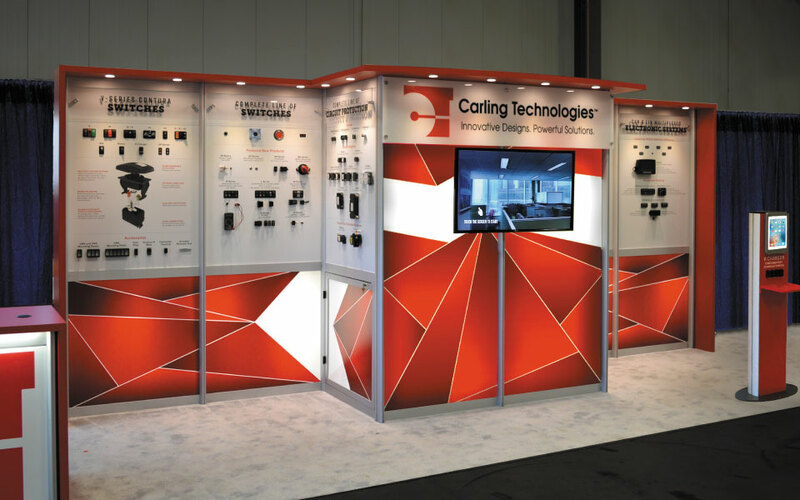 Carling Technologies is one of the world’s largest manufacturers of circuit breakers, switches, power distribution units, digital switching systems and electronic controls. 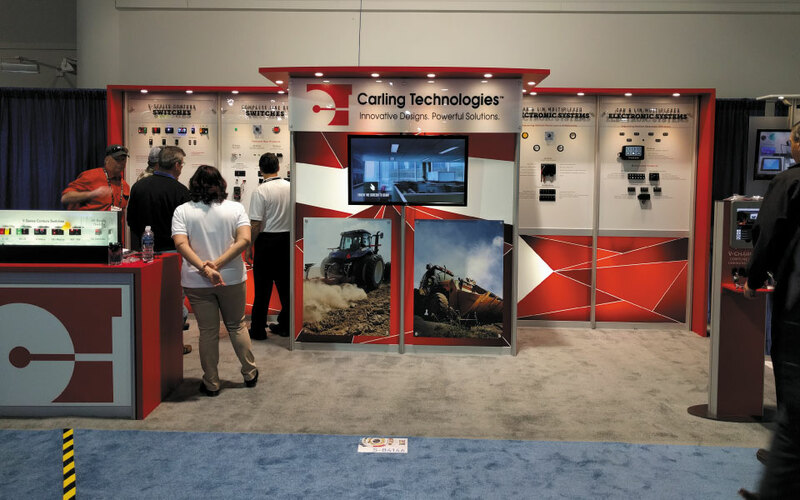 With four ISO registered manufacturing facilities, Carling Technologies employs over 2200 people and enjoys a worldwide network of sales and distribution of its productions. 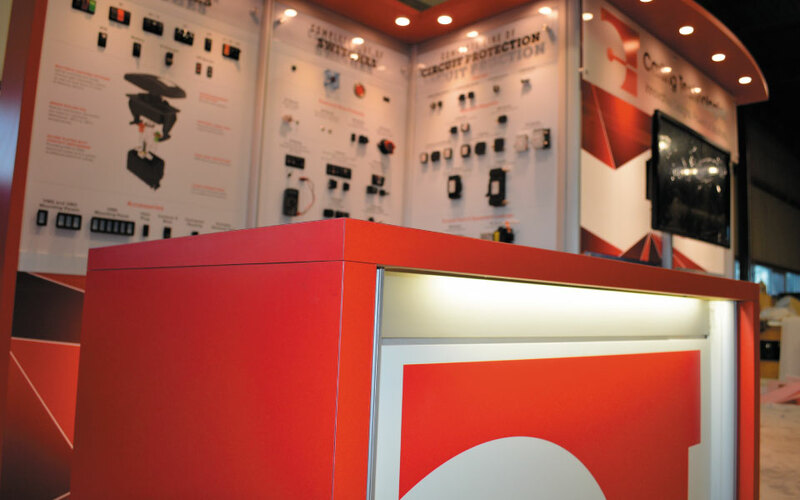 When Carling Technologies came to DisplayCraft their existing trade show display needed a make over. 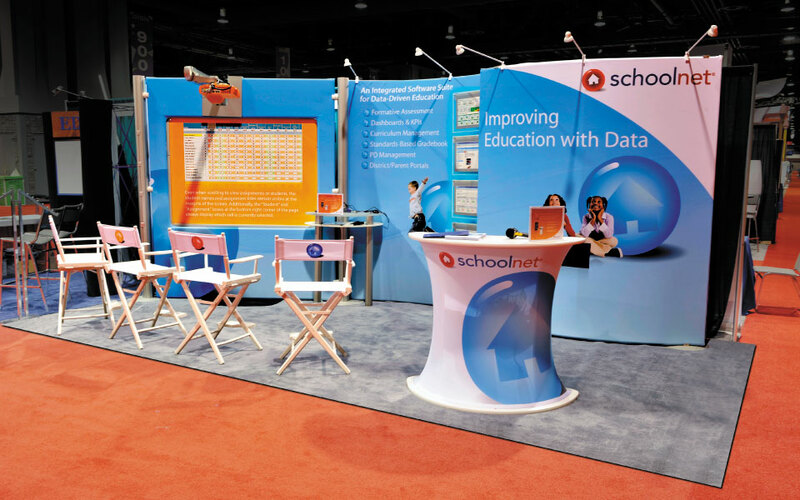 Their 10×20 booth lacked luster and visibility on the trade show floor. 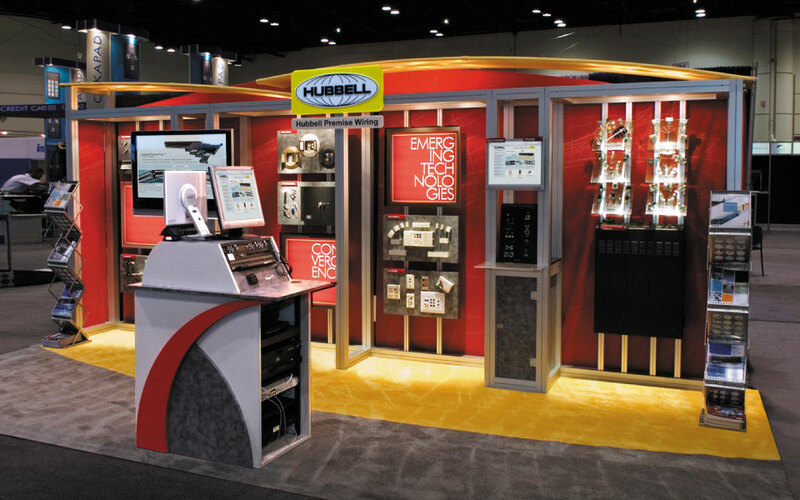 Our exhibit design team assessed their properties and tackled the project by adding three new distinctive design elements including new structure, back-lit graphic panels and lighting details. 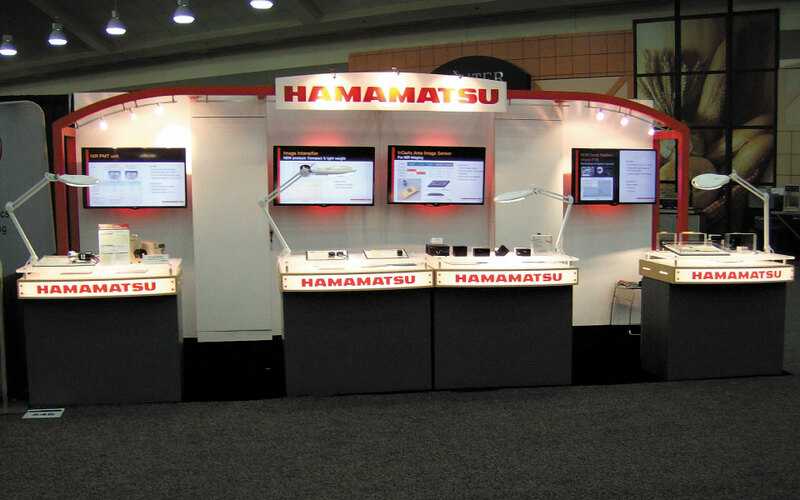 First of all, the addition of a red contour canopy structure with return panels updated the overall architectural look and presence of the display. The reception cabinet received a similar treatment unifying the design. 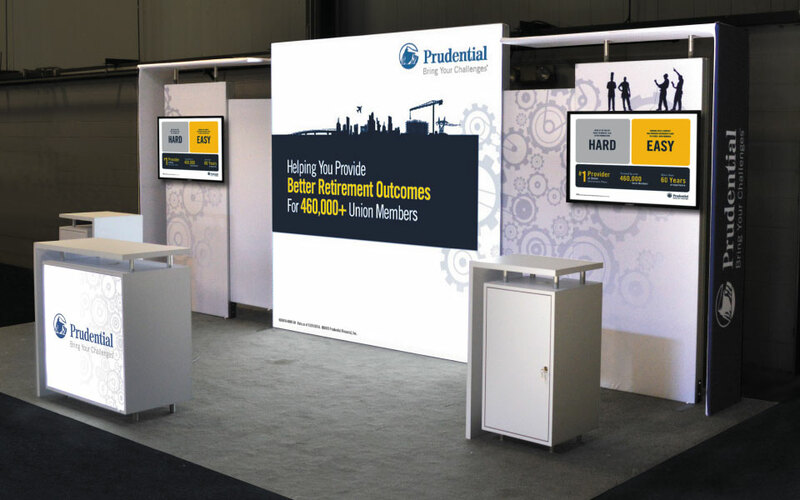 A custom tablet stand / charging station provided an additional booth draw and for presentations a monitor was added..
Next, updated large back-lit graphics with a dynamic and modern design spanned the trade show display back-wall. The high contrast red and white design mirrored the Carling Technologies logo while accentuating the back lighting effect. Finally, the addition of LED accent lighting throughout the booth pulled it all together. Recessed lighting in the newly constructed canopy illuminated a central Plexiglas header with the Carling Technologies logo. 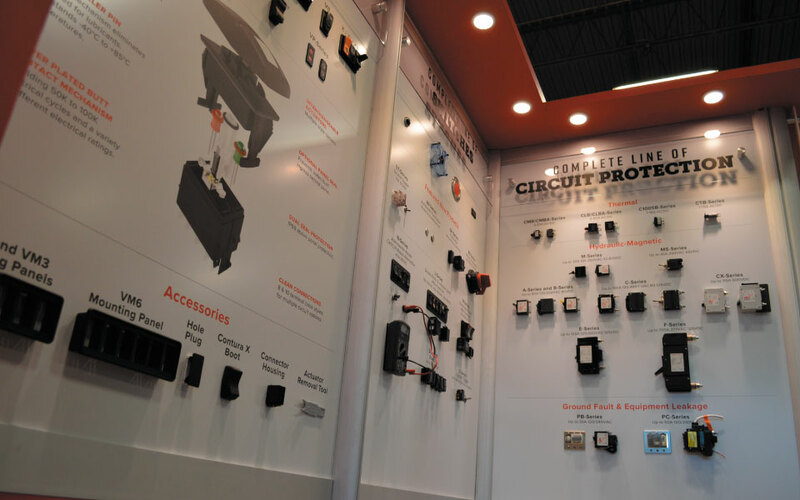 The new lighting also added prominence to functioning product board displays along the back-wall complete with Plexiglas stand-off headers. To complete the look, accent lighting was added to the reception counter. 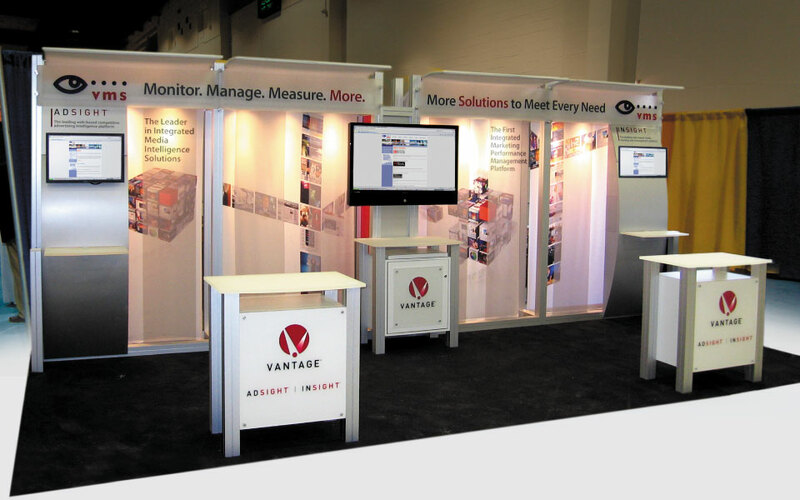 Overall, the new booth additions added function while creating a polished elegant look on the trade show floor.